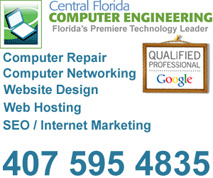 CFCE offers high quality web hosting that is truly high class. We lease high end web servers that are physically located in a commercial data center located right here in Orlando Florida. 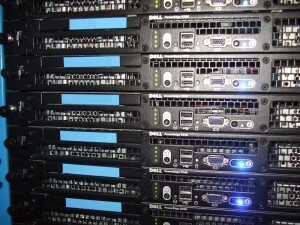 We also completely manage, maintain and BACKUP our servers every night! This level of quality is unheard of with many other web hosting companies because they care about one thing and that is squeezing as many websites onto a cheap unreliable server to make as much money as possible. 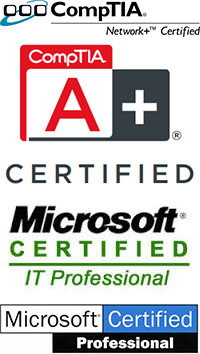 We don’t host websites on unreliable shared web servers like most web hosting companies. We don’t outsource to a huge web hosting company or any other unreliable or off shore hosting company to host websites. (OUR COMPETITORS DO)! When you sign up for a cheap budget $5 a month web hosting plan from a huge web hosting company do you really expect to get high quality uninterrupted service and support? How do you feel when your website or email goes down for hours and you send your hosting company an email or fill out a support ticket that doesn’t get answered for hours or even days? How do you feel when you pick up the phone and call your web hosting provider and your call gets routed to INDIA or offshore somewhere else? That’s exactly what you get when you host your website with most hosting providers. We have been hosting websites for over 10 years and we have the good, the bad and the ugly.We taking hosting websites and email very seriously and we don’t cut corners to save a few bucks. We host websites with pride and whenever you want or need something you can reach us by email or phone right here in Orlando Florida. WE DELIVER 1st class service you won’t find anywhere else at any price. HIGH QUALITY web hosting with CFCEcorp starts at just $25 a month!